The annual celebration of fun, healthy ways to commute to school across our city is held every April. 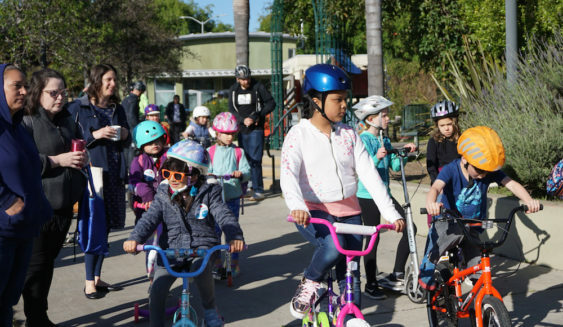 Bike & Roll to School Week welcomes anyone and everyone with wheels. It’s time to get out your bicycles, skateboards, wheelchairs, rollerskates and strollers. Any San Francisco school, from Pre-K to high school, is invited to participate in the fun. This event will be running from April 15, 2019 to April 19, 2019.